Charming 3 bedroom, 1 bath cottage on large .28 acre lot in water privilege community. Bright sunroom was just renovated. 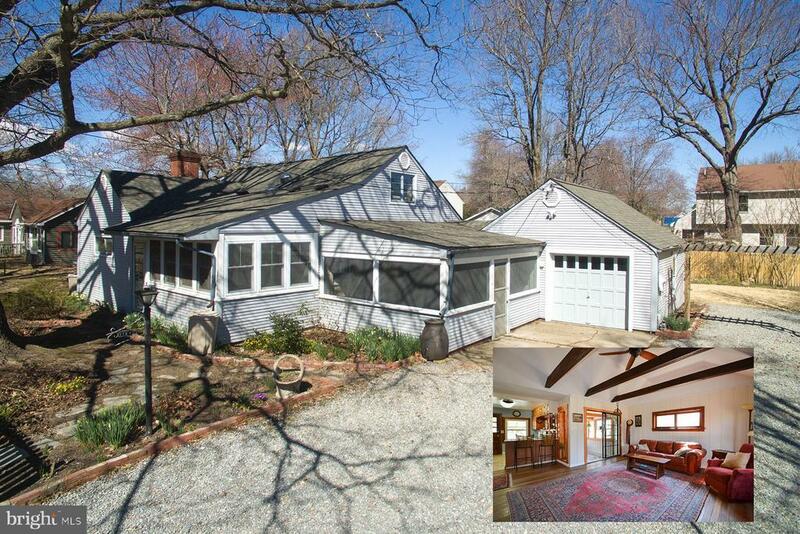 Home features exposed beams, new sliding door, pellet stove & and beautiful wood details. Screened porch, attached garage and garden shed. Beautiful landscaping and room for gardening. New roof (architectural shingles) and heat/cooling system in 2017. Plenty of parking, one car garage w/ extra storage area above. Community has pier, waterfront clubhouse, playground, boat slips and boat ramp. Less than an hour to DC, Baltimore and major airports. Home qualifies for 100% USDA financing.